Do you have aches and pains, but traditional creams don’t cut it, or the pills you’ve taken do more harm than good? It’s time to consider using topical CBD ointment, derived from cannabidiol, a non-psychoactive compound found in marijuana. We have answers for you. And if one topical topic’s been on your mind more so than others, just click on that link right below! How Long Has Topical Cannabis Been Used? What Is CBD Ointment Used For? What's the Best Way to Apply CBD Ointment? What Makes Ointments, Creams, Salves, Balms, Oils, Lotions & Patches Different? How Popular Are Topicals in the U.S.? Do Medical Experts Support Cannabis Topicals Use? What Are Some Popular CBD Topical Products? How Can I Make Your Own CBD Ointment? How Can I Buy CBD Ointment & Other Topicals? CBD ointment is a safe, easy-to-use topical agent that can be applied to almost any bodily area to relieve several problems like soreness, inflammation, and irritated skin. When applied to the skin it doesn’t create the “high” effects that cannabis ingestion does via smoking, vaporizing or eating edibles. So CBD ointment is a great alternative for people who don’t want cannabis’ THC high and/or for those who’d like to have other options besides over-the-counter steroid-based creams. Topical cannabis use dates back thousands of years. While its primary form of ingestion has always been smoking, it’s also traditionally been used as a medicinal component to existing remedies such as ointments, salves and tinctures. Topical use has been linked to ancient Egypt, other parts of Africa, and in Europe, where it was used for its antiseptic, antibiotic and pain-relieving properties to treat bacterial infections, skin infections, foot inflammation and localized pain. After all, ancient civilizations relied on plant medicines for their natural therapies, and it’s really quite a shame that our modern society has departed so much from analgesic herbs. Luckily, with legalization efforts succeeding nationwide, we’re seeing substantial new interest in cannabis-derived topical therapies. ACDC: a hybrid of THC and CBD considered to be the most effective for pain relief. This strain also produces relaxation and euphoria as well as a heightened focus. Harlequin: a sativa-based strain with a CBD and THC ratio of 5:2, Harlequin’s especially useful in treating inflammatory-based pain like arthritis or fibromyalgia. Its psychoactive properties are euphoria, increased energy and enhanced focus. Charlotte’s Web: with less than 0.3% of THC, this potent CBD strain produces no psychoactive effects and is best used to treat migraines, neuropathic pain, and, maybe most effectively, epilepsy. What’s the Best Way to Apply CBD Ointment? Topical CBD absorbs into the skin and is really successful when liberally applied to the affected area(s). 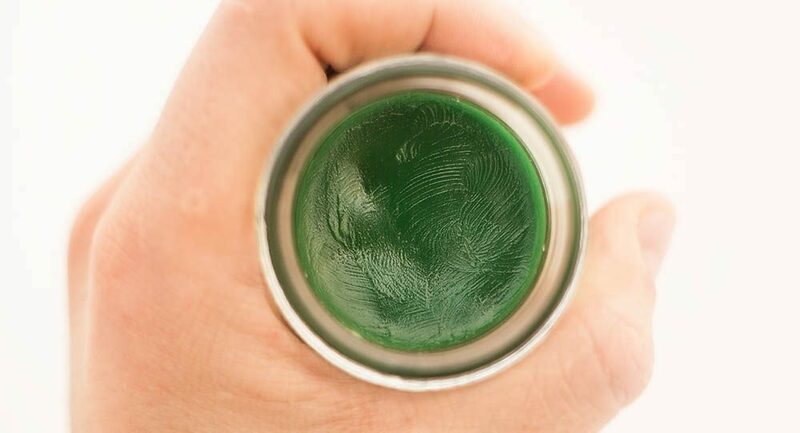 When using topicals, be sure to first wash the area with soap and water to remove any excess dirt, oil buildup, or previously applied CBD lotions or topical creams. Doing so will ensure that there aren’t any barriers between the ointment and your skin, creating the best environment for absorption. For adults, generously rub the ointment onto the affected area and allow it to absorb for several minutes before covering with clothing and/or bandages so it doesn’t rub off. Be sure to watch the area for bad reactions like itchiness, redness, soreness, rashes or bumps. For children and the elderly, apply smaller amounts so they don’t over medicate since their skin is naturally thinner. Once applied, the ointment can take anywhere from 1-48 hours to provide relief, depending on the dosage, how often it’s used, and severity of your condition. 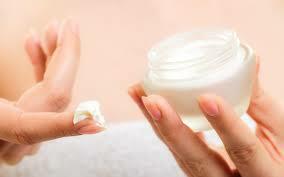 Ointment producers typically list the recommended rate of use, which usually ranges from 1-3 times a day to as needed. Again, how often you use the ointment will depend on the severity of your condition and the product’s CBD and THC levels, so begin with doses as low as 2-3mgs then increase the amount if needed. CBD appears in both cannabis and hemp, and both are widely available as ointments, but while hemp-based products contain no active THC, cannabis-derived products often do. Seeing as how CBD and THC offer similar health benefits, patients may opt for high-CBD cannabis ointments with or without THC. But if you decide to combine CBD and THC, you’ll reap the benefits of both, from what’s known as the “entourage effect.” Research suggests that using the two together are more effective than when used individually, a fact that’s been proven with cancer research as well as with multiple ailments. When CBD and THC are combined they produce a powerful one-two punch by enhancing each other’s most useful characteristics. Interestingly, CBD slows down the breakdown of THC in the liver, allowing THC’s therapeutic effects to last longer. If you have plant allergies, you might want to use hemp-based CBD ointments instead of those produced from cannabis. Marijuana cultivators tend to use pesticides and other herbicides that could irritate or even worsen skin conditions for those who are particularly sensitive to these chemicals. What’s the Difference Between Cannabis Ointments, Creams, Salves, Balms, Oils, Lotions & Patches? Highly-concentrated cannabis salves and balms are great options for healing wounds and small cuts, while creams, lotions and ointments are best for alleviating itchiness, dryness, burns, rashes and other inflammatory skin conditions. Oils tend to be higher in potency and can include THC or just CBD. They’re most likely mixed with other beneficial herbs and essential oils that penetrate the skin for deeper healing. Oils are also more versatile because they can be ingested. It’s no secret that high doses of cannabis oil have been used to effectively treat epilepsy, kill cancer cells, heal ear infections and stop migraines. Transdermal patches containing CBD and/or THC are highly popular among pain relief seekers, as they deliver cannabinoids straight into the bloodstream for faster and more effective healing. Because they adhere to the skin they can last longer than other topicals. You can even sleep with them on and can participate in just about any activity while wearing them, whereas weed creams, marijuana salves or cannabis lotions can rub off easily. Patches typically offer a range cannabinoids with a split 1:1 ratio of CBD to THC, but you can choose patches based on your condition and the effects you wish to receive. Keep in mind, patches containing THC will produce a psychoactive effect that can be just as, if not more, potent than smoking, vaping or eating edibles since it’s absorbed more quickly; so CBD patches may be the best option if you need to function without those effects. There are a few reasons why topical cannabis products are making their way into mainstream cannabis culture. First, many unfamiliar patients would rather not ingest cannabis due to its psychoactive effects, and prefer to inch slowly into their cannabis experience with something milder like a tincture or topical. We totally get that, trying THC for the first time for its psychoactive effects can be intimidating (although trust us, with the proper dose, anyone can feel comfortable with it). Next, chronic smoking could take a harmful toll on the lungs, although not enough long-term research has been done to say definitively. Some preliminary studies even show that smoking the herb could have benefits for your overall lung health, but only time will tell. Regardless, if you want the health benefits that cannabinoids provide, topical options present a great existing alternative to other means of use. This is especially true for aging patients, parents who use the CBD products on their children, or adults who are concerned about practical matters (like failing drug tests, for example). For these reasons, the topical medical marijuana industry is growing rapidly here in the United States, with its primary consumers being female & senior chronic pain sufferers. That being said, when compared with the other methods of consumption, topical applications lag far behind. From our own online cannabis marketplace (think of it like the GrubHub for cannabis), topicals only make up about 1% of all purchases. Even at just 1% of total purchases, topicals saw a 100% increase in popularity since the same time last year. Do Medical Experts Support Topical Cannabis Use? Given the stigma surrounding marijuana and cannabinoid use in general (which is dissipating quickly), and marijuana’s Schedule I drug status with the federal government, substantial scientific and clinical research on the health benefits or consequences of cannabis have been severely constrained. In fact, other countries like Israel are far ahead of the U.S. in attempting to decode how cannabis acts on one’s physical and psychological well-being. That being said, preclinical evidence suggests that CBD’s therapeutic, neuroprotective, sedative and anti-inflammatory effects are very promising. Overall, the medical community agrees that CBD can provide powerful relief for many conditions and poses little to no health risk. What Are Some of the Most Popular CBD Topical Products? 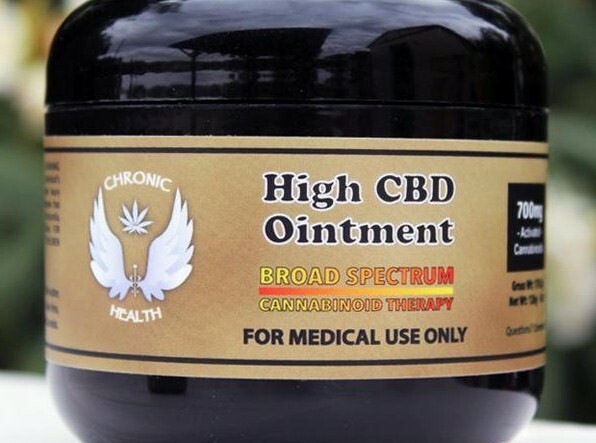 Chronic Health (Green Halo) High CBD Ointment uses high levels of CBD in conjunction with other pain relieving cannabinoids to tackle a wide spectrum of medical conditions. Combined with almond oil, avocado oil, coconut oil, Shea butter, cocoa butter and beeswax, their CBD ointment offers a wonderful scent along with strong antibiotic and anti-inflammatory properties. Their products come in 350mg and 700mg CBD containers. 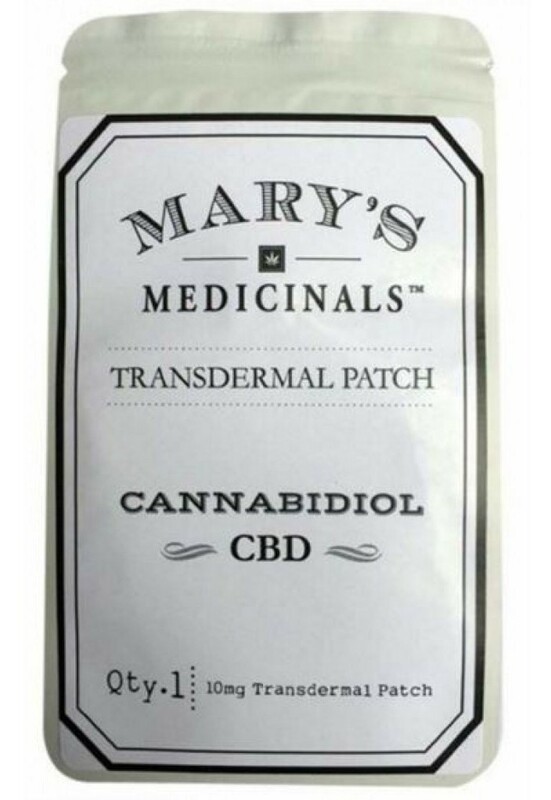 Mary’s Medicinals has gained a lot of attention recently for their innovative CBD transdermal patches (also available in indica and sativa), childproof gel pen, topical compound that heals inflammation and back pain, and their Muscle Freeze CBD lotion that soothes and cools sore joints and muscles. Their products are discreet, simple to use, and provide strong, lasting relief. Perfect if you need constant and stable healing. 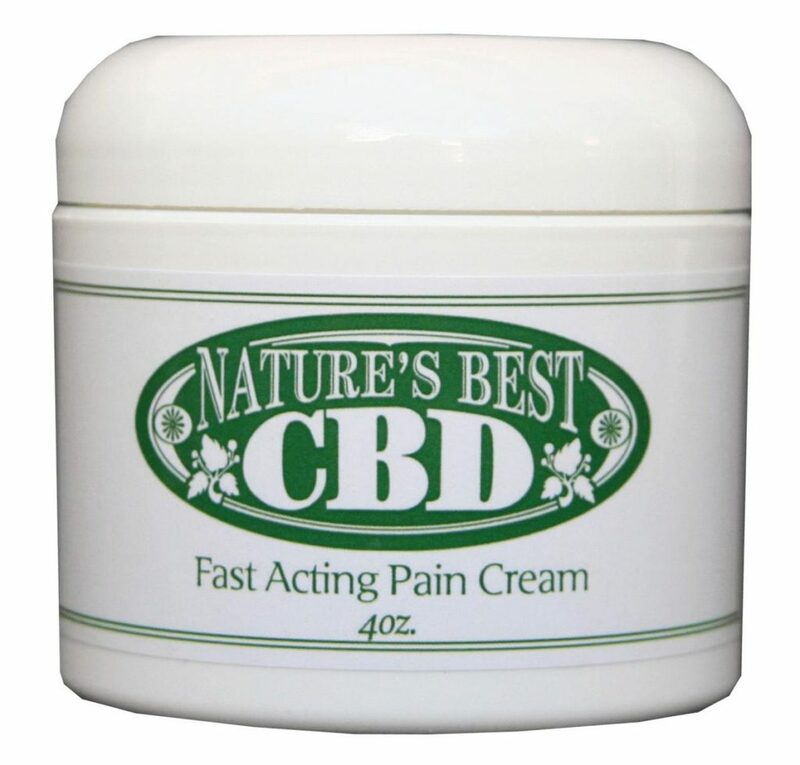 Nature’s Best CBD is a THC-free topical designed specifically for pain relief. Created with a high absorption rate, Nature’s Best is chemically engineered to quickly penetrate the deepest layers of the skin to provide relief within minutes. Customers use it for fibromyalgia, diabetic nerve pain, eczema and a variety of other skin conditions. Keep in mind that this product also contains menthol to aid in pain relief. It’s also available in a convenient travel size 3-pack. Sweet Releaf offers a high-CBD ointment that comes scented, unscented and in extra strength formula, if needed. Their ointment is made by hand and contains, cannabis trichomes, coconut oil, Shea butter, cocoa butter and a proprietary blend of essential oils. All ingredients are organic and cruelty-free, as many believe emu oil (a common ingredient found in CBD topicals) to be extracted in inhumane ways. Users have found that Sweet Releaf reduces inflammation, swelling, muscle, back and joint pain, spasms and more. 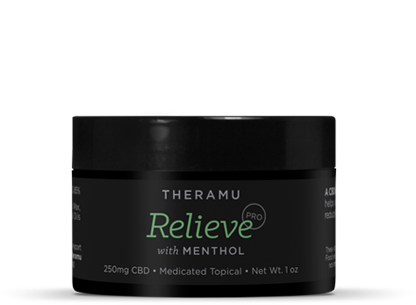 Theramu Relieve is a fast-acting compound that combines 100mg of pure hemp extract and emu oil (a carrier of CBD) for deeper penetration. Theramu boasts no side effects nor interference with other medications, and that’s only possible because hemp extract is not the same as cannabis-derived CBD. In fact, hemp-derived CBD is available in only trace amounts and does not provide the same wide-ranging medical benefits that true CBD products will. Nonetheless, it can still be a useful anti-inflammatory and wound healer, but should be considered more along the lines of a dietary supplement as opposed to true medicine. How Can I Make My Own CBD Ointment? Gather at least 10 grams of organic hemp for a CBD only ointment, or combine it with ½ oz of herbal cannabis for a combined CBD-THC effect. Grind all leaves and stems with a coffee grinder, then place them into a jar. Pour an organic, preferably extra virgin carrier oil like coconut or almond, over the hemp/cannabis. The ground hemp/cannabis should be completely covered in oil. Seal the jar tightly, fill a saucepan with 2-3 inches of water, then place the jar into the pan. Bring to a low boil for 3 hours. Be sure to refill the pan when the water level gets too low. After 3 hours, remove the jar from the saucepan and allow it to cool at room temperature. Repeat the low boiling process over the next 2 days for another 3 hours each day; this will increase the ointment’s potency. 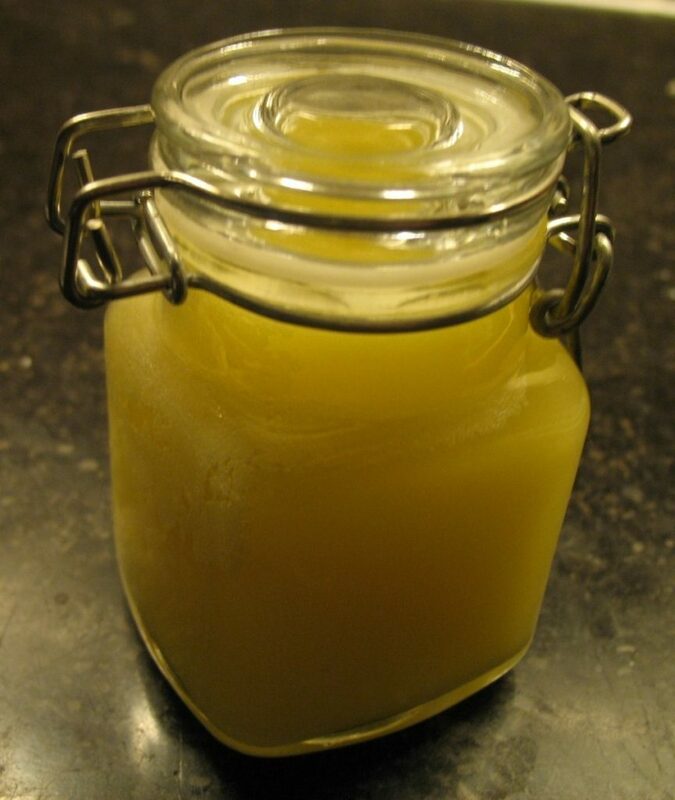 On the 4th day, use a cheesecloth to strain the ointment into a new jar to remove the excess debris. Add beeswax, cocoa butter or Shea butter to thicken and firm up your ointment. Now it’s ready to use! Store in a cool, dry place otherwise the ointment’s consistency can change dramatically. Not in the mood to make your own CBD ointment? Rather leave ointment making to the professionals, you’re in luck! Finding some high-quality CBD cannabis ointment takes just a few clicks on getnugg.com. Nugg provides safe and legal access to the relief you require. 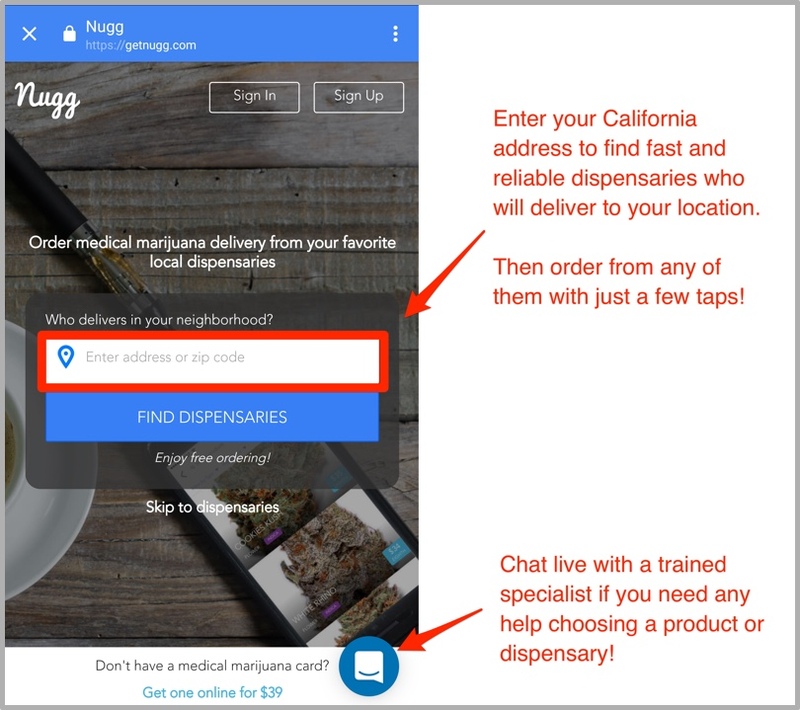 Simply enter your zip code and gain instant access to several vetted cannabis dispensaries near you. Nugg also provides customer-rated storefront collectives and delivery options for CBD ointments along with a plethora of cannabis topicals to be delivered straight to your doorstep! Though many online retailers will claim they can ship products containing CBD your way since CBD is legal to use, keep in mind that shipping these CBD products is actually illegal. A medical marijuana recommendation or card must be presented to purchase CBD products within the state of California and everywhere else. If you’re in need of a medical marijuana card, just visit NuggMD to get yours in minutes. There’s no appointment needed, and you won’t be charged the small $39 fee unless your doctor approves! Iv been using cbd to treat arthritus and have found it great , Some other benefits may include increased sleep period from 6hrs to 8hrs. Loss of body fat , and I do feel generally better.